Within six months of the complaint receiving a final response from their lawyer, if that response complies with the requirements in rule 4.4 of the Scheme Rules (which requires the response to include prominently an explanation that the Legal Ombudsman was available if the complainant remained dissatisfied and the provision of full contact details for the Ombudsman and a warning that the complaint must be referred to them within six months). You may wish to make a complaint in writing and, if so, please follow the procedure in paragraph 7 below. However, if you would rather speak on the telephone about your complaint then please telephone the individual nominated under the Chambers Complaints Procedure to deal with complaints – Fred Philpott or (if the complaint is about a member of staff) the senior clerk, Bob Weekes. If the complaint is about Bob Weekes, telephone Fred Philpott. The person you contact will make a note of the details of your complaint and what you would like to have done about it. He will discuss your concerns with you and aim to resolve them. If the matter is resolved he will record the outcome, check that you are satisfied with the outcome and record that you are satisfied. You may also wish to record the outcome of the telephone discussion in writing. Please address your letter to Mr Fred Philpott, Gough Square Chambers, 6/7 Gough Square, London, EC4A 3DE. We will, where possible, acknowledge receipt of your complaint within two days and provide you with details of how your complaint will be dealt with. 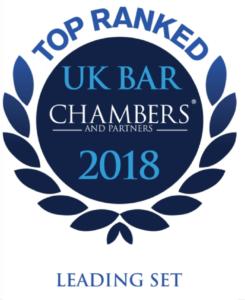 Our Chambers has a panel headed by Fred Philpott or his deputy, Iain MacDonald in his absence and made up of experienced members of Chambers and a senior member of staff, which considers any written complaint. The panel, including the head of the panel and deputy, is appointed by the Management Committee from time to time. Within 14 days of your letter being received the head of the panel or his deputy in his absence will appoint a member of the panel to investigate it. If your complaint is against the head of the panel, one of the two joint heads of chambers will investigate the complaint. If you are unhappy with the outcome of our investigation and you fall within their jurisdiction you may take up your complaint with the Legal Ombudsman, the independent complaints body for complaints about lawyers, at the conclusion of our consideration of your complaint. The Ombudsman is not able to consider your complaint until it has first been investigated by Chambers. Please note the timeframe for referral of complaints to the Ombudsman as set out at paragraph 2 above. Where the complainant is a disabled person, we will consider a reasonable adjustment to this policy. If an adjustment is required, a request for the adjustment should be made addressed to the person investigating the complaint, who will consider whether the adjustment is reasonable and, if so, apply it. Chambers follows the Bar Standards Board Chambers Complaints Handling Guidance.